Ok, so I’m a teeny bit late to the party, but I’ve finally started watching Netflix’s Tidying Up with Marie Kondo series. Not because I entirely agree with its concept, you understand. As a great advocate of ‘stuff’ and sentimentality, I’m unlikely to take much of her advice (although, after a couple of hours of dusting, it does sound slightly more appealing). No – it’s because of the controversy it has sparked about books. 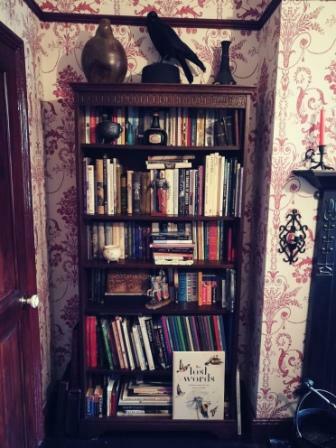 It was a Guardian headline on social media that first alerted me to Kondo’s somewhat cavalier attitude towards books – or, rather, the disposal of them for a clutter-free life. The full article was no disappointment; written by Anakana Schofield, it’s inspired by the response to a tweet that she shared on the subject, which soon went viral. 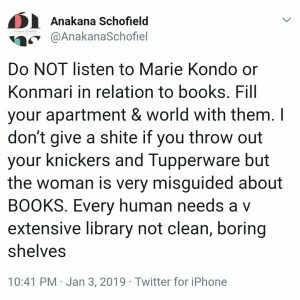 In the article (and tweet), she bemoans Kondo’s insistence that books should only be kept if they are “beneficial to [their owners’ lives] moving forward” – as if to suggest that everyone should be aware of exactly what kind of literature they will require from now until the end of their days. 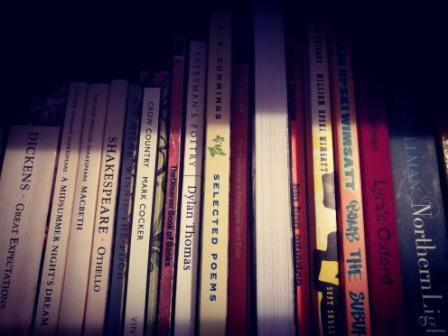 She also advised that books must inspire feelings of joy in the reader in order to retain their place on the shelf. I, for one, agree that books are rarely designed solely – or even partly – to delight. They’re designed to intrigue, to educate, to shock, to motivate, to confuse, to enlighten, for escapism, and a myriad of other purposes. Watching the show’s participants sorrowfully clutch on to various volumes and papers that they knew didn’t fit Kondo’s rules, and yet clearly held some memories and possibilities, was in places rather distressing. I wonder if any of them had regrets weeks later? I wonder if they’ll have any regrets years down the line when some of the items they discarded become needed or valuable in some way? Heaven knows what Kondo would say if she saw my bookcase… but despite being filled with all manner of books – some pleasurable, some uncomfortable; some light, some dark; some of constant use, some yet to be utilised; some unread, and some lovingly dog-eared – its very presence enriches my life.